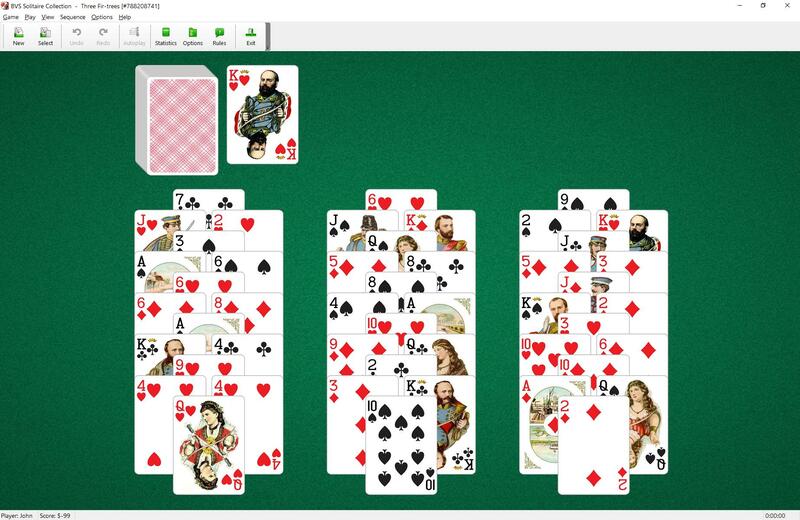 Three Fir-trees Solitaire uses 104 cards (2 decks). 48 cards are dealt in the form of three fir-trees (16 cards in each). To move all cards from the fir-trees to the waste pile. 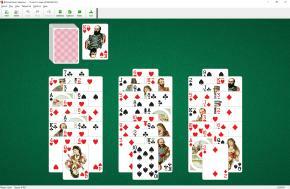 All uncovered cards of the fir-trees are available to play. Begin turning over cards from the stock pile. You can move cards from the fir-trees onto the waste pile in ascending or descending order regardless of suit. When you have made all the moves initially available, turn over the next card from the stock pile etc. The game is won if all fir-trees are empty before the stock pile is exhausted.